I think I’ve left you hanging long enough. It’s finally time to let the cat out of the bag (so to speak), and fill you in on how my refashion is going. By this time I was hoping to have had it completely finished, but it hasn’t exactly gone as I’ve expected. 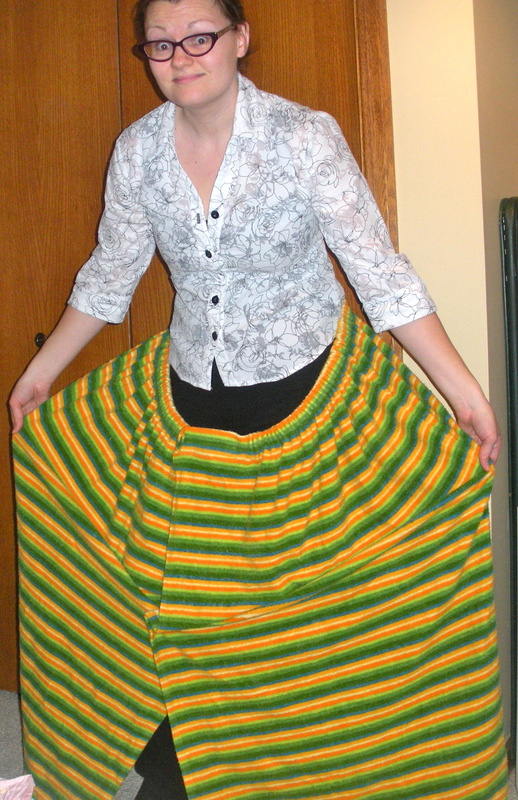 For this week’s refashion, I wanted to make something springy…something I could wear for Easter. I started out with several leftovers. Each had been purchased a while ago (before I started the blog). 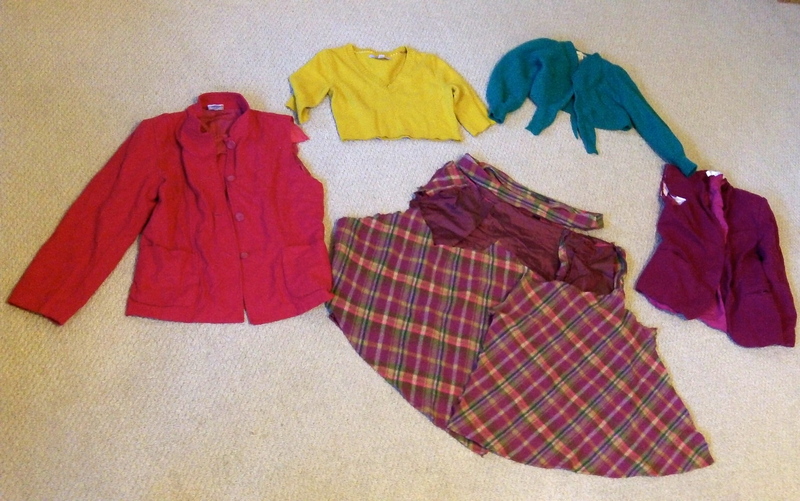 Altogether I had a skirt, 2 blazers, and 2 sweaters. All are made from wool, and each had been used previously in a different refashion.